SAIS Glencoe Blog » Cool, cloudy but dry. As the title suggests it was a cool, cloudy but dry day. Other than a few more icy streaks forming on hillsides, very little change has occurred since yesterday. Little changed expected tomorrow. 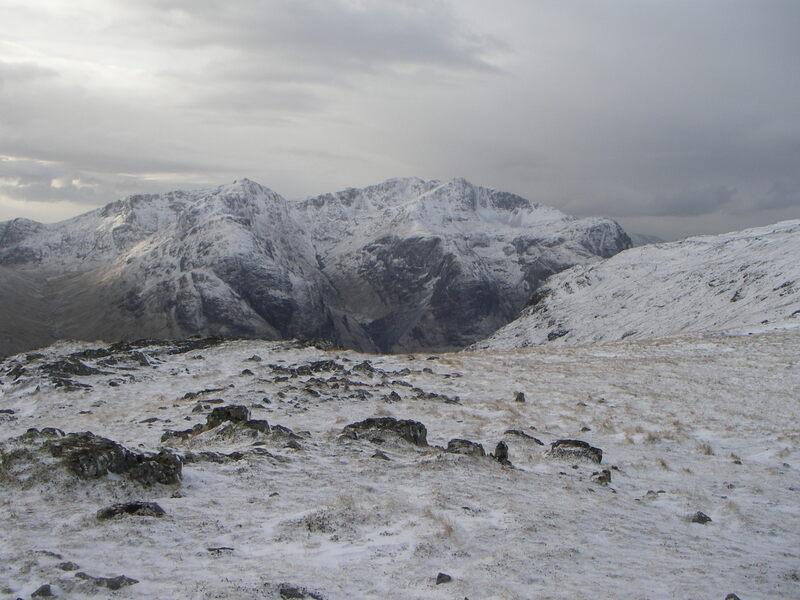 Water is is forming on paths and hillsides in the cold conditions. In this case the hillside is pretty gentle, so not too much of a hazard. 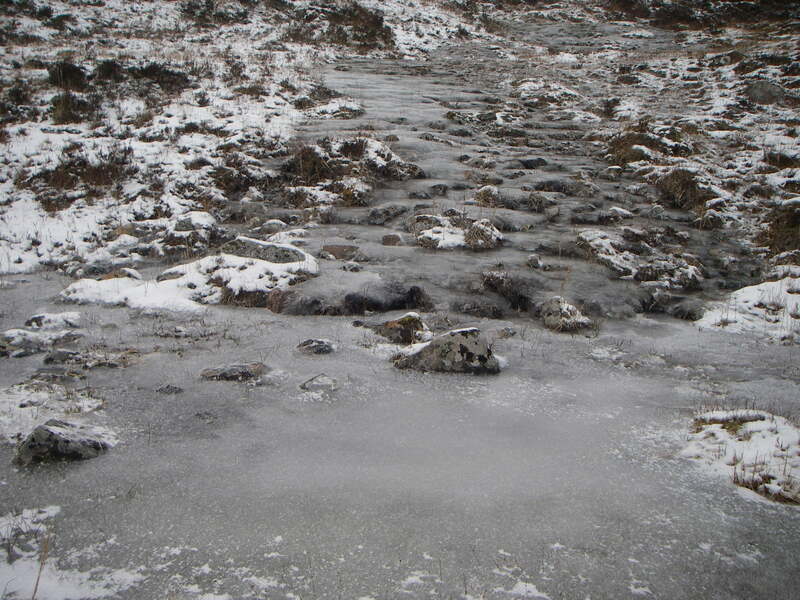 However, there is a lot of steep terrain in Glen Coe, on which streaks of water ice (which would often be covered in snow) can be be hazardous. 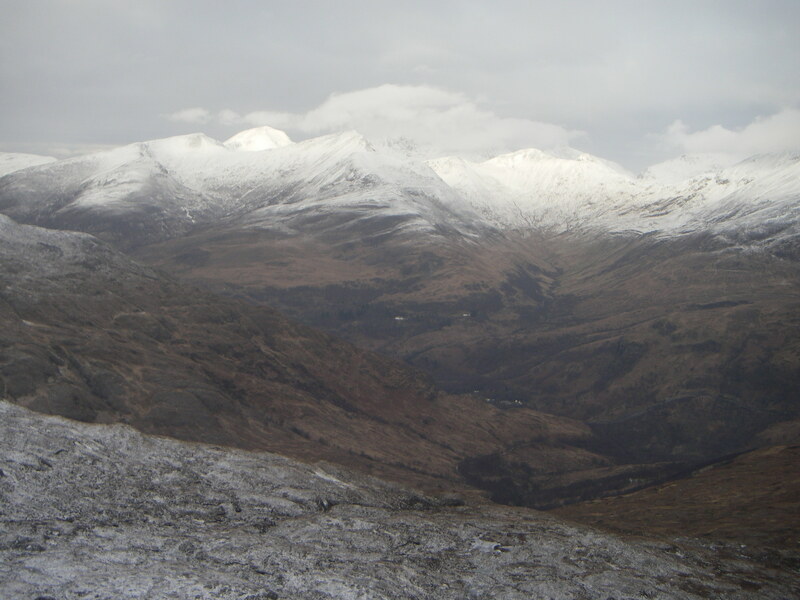 Looking North towards the Mamores. Ben Nevis hiding in the cloud beyond. 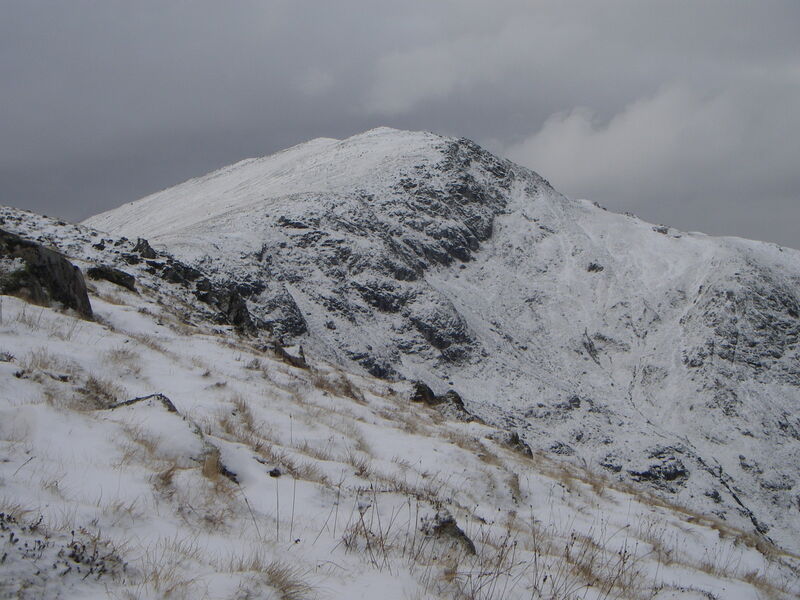 Only a dusting of snow in Choire Odhair-mhoir. Looking over the Glen to Stob Coire an Lochan. 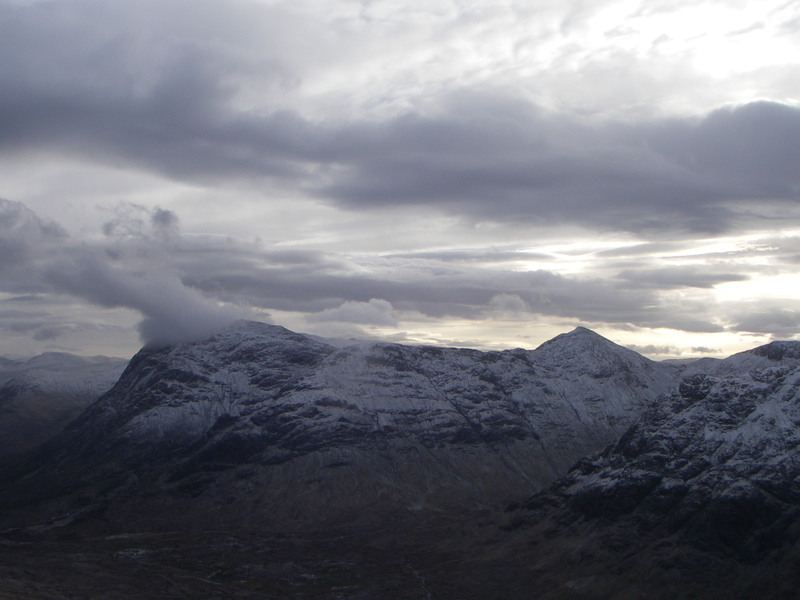 Moody clouds over Buachaille Etive Mor.